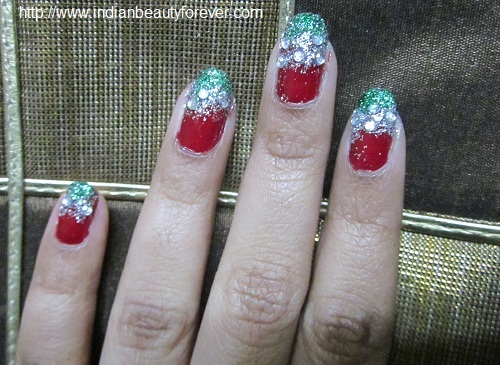 Most of us are busy as its holiday season so it is just a small photo post of the Christmas manicure which I have done today. For the base I am wearing Maybelline Paixao which is a deep red color and the glitters that you see have been sent from Bornprettystore.com. 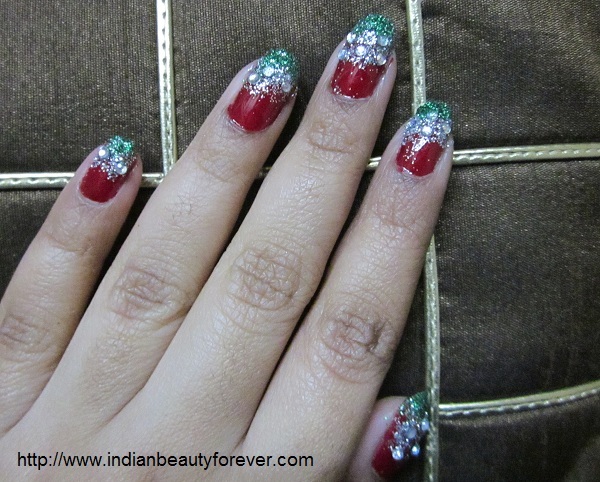 I also added some green later on to give it more christmas feel. 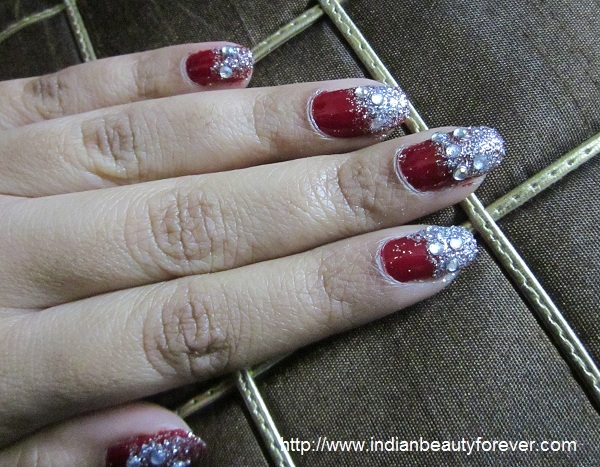 I liked doing this manicure or the nail art. Thank you Puja. :) glad you liked ! Your nails look absolutely gorgeous. I really love the glitter at the top. Such wonderful nail art. I hope you have a Merry Christmas! It looks fab ! totally loving it ! Thank you and Merry Christmas to you too darling! Soo blinged! Not my style but I think its awesome! My pleasure dear and thank you for liking it! !